Bellevue video-game giant Valve is facing a lawsuit in Seattle filed by parents who say their children lost thousands of dollars wagering using tools overseen by the company. The lead plaintiffs in the case, filed this week in federal court, are unnamed parents in Oregon, Illinois, and Missouri, who say their sons lost thousands of dollars in so-called “skins” gambling in a marketplace Valve oversees. A spokesperson for Valve and a lawyer representing the company didn’t respond to requests for comment Friday. No one answered the phone at the company’s Bellevue office. 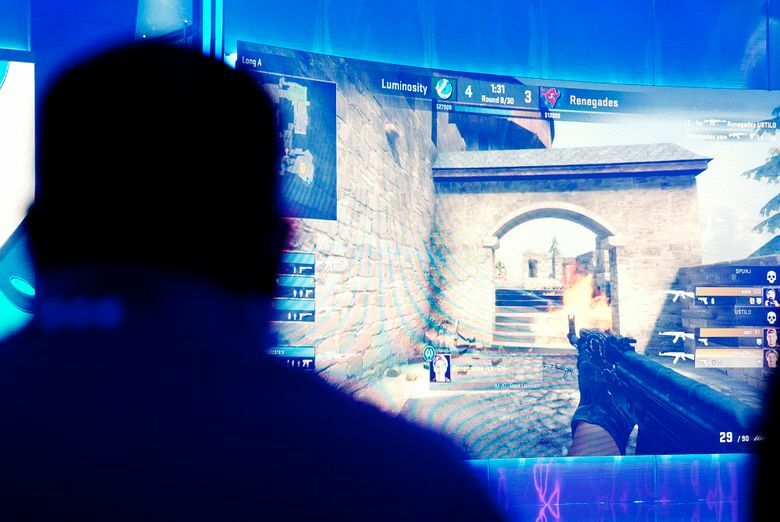 Valve’s Steam platform, an online video-game marketplace, and its hit game “Counter-Strike: Global Offensive” grew in recent years into hubs of gambling on competitive video gaming. In “CS: GO” and some other games sold on Steam, players can buy skins, or decorative in-game items, and trade or sell them for real-world cash to other players through the Steam platform. When linked with shadowy gambling websites, skins gambling grew into a multibillion-dollar business, industry observers say. After widespread complaints following a Bloomberg Newsreport, and the filing of at least two lawsuits, Valve ordered some websites that facilitate Steam gambling to stop. The new lawsuit, which seeks class-action status, is the latest iteration of a legal challenge that has made its way across the country in eight months of procedural wrangling. The case has its roots in a complaint filed this summer in Connecticut. At Valve’s request, it was transferred to federal court in Seattle in August, and dismissed on jurisdictional grounds here in November. The plaintiffs refiled their case in King County Superior Court, only to have Valve again request and receive a transfer to federal court in Seattle. The current iteration of the lawsuit was filed on Wednesday. Valve hasn’t yet addressed in court papers the substance of the plaintiffs’ complains. The company did outline its view in response to a Washington State Gambling Commission cease-and-desist letter in October that told Valve to stop facilitating the transfer of skins for gambling activities. Valve has no business relationship with gambling sites, and the Steam software tools that the sites use for wagering purposes are legal in Washington, he said. The lawsuit filed this week likens that arrangement to a bartender who sells chips to customers on the way in, allows another person to cash out those same chips, and turns a blind eye to the gambling that took place in the meantime in the backroom. “Valve had the power to prevent the gambling operators from setting up shop, chose not to stop them, and in fact gave them the keys to the backroom,” the lawsuit said.